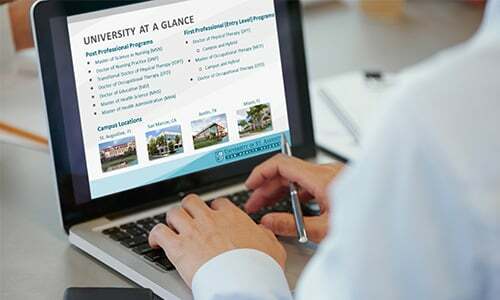 Join us online for our featured webinar to learn more about our two entry level physical therapy programs. Our Campus DPT program has on campus classes through out the week. Our FLEX DPT program is completed through on-campus, weekend labs, and online course work. Complete the form below to register for this or future webinars and get a jump start on your application for admissions to the USAHS Doctor of Physical Therapy (DPT) program!